TagMaster has signed a Letter of Intent to acquire SA Magsys in France. Magsys was established in 2003 and is the leading added value ITS (intelligent transportation solutions) distributor in France with a strong foothold in vehicle counting, travel time management and on-street parking monitoring. Magsys are selling towards the French road administrations in cities, departments and to highways (toll roads). Sales for 2018 are expected to reach 2,5M€ with a good EBITDA margin. The consideration will be funded from the existing bank facilities and the acquisition is expected to be earnings enhancing to TagMaster in the first full financial year following the transaction. The transaction is conditional upon a successful due diligence and is expected to close before end of 2017. 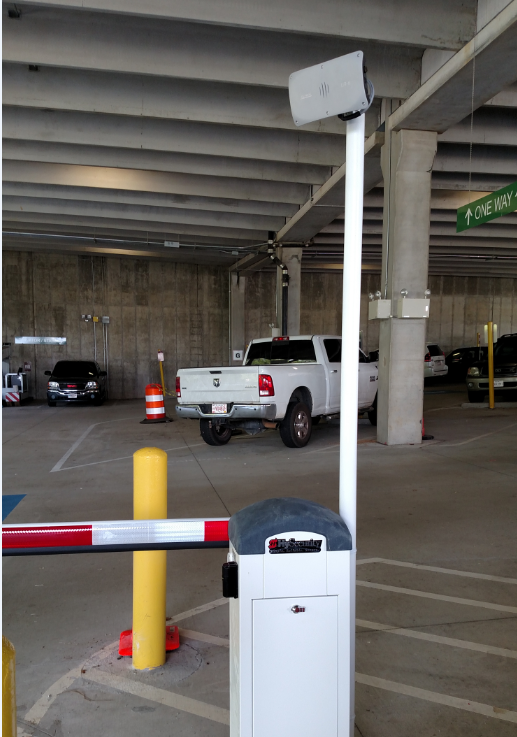 Our partner, TagMaster North America, installed now in September, RFID system for Martin Army Medical Center at Fort Benning, Georgia, for high security parking garage access. Ensuring secure and efficient vehicle access was essential for military and medical providers at Martin Army Medical Center and part of the new construction and design project issued by the Department of Defense. Data transmission using TagMaster’s LR Series readers and tags are highly secure, encrypted and unique. Military and Medical officials needed to be assured that the vehicle tags in circulation could not be intercepted or duplicated in order to maintain OPSEC (operational security) on post or interfere with post security communications. TagMaster LR Series readers offered Frequency Hopping with selectable channels to prevent interference and with a highly directional RF field, provide precise and immediate verification when identifying vehicle tags. Staff with assigned vehicle tags are now able to securely and reliably gain garage access without needing to stop, roll down their windows and present the tag. TagMaster Identification Solutions are completely hands-free and provide peace for mind for drivers. “The Tagmaster system was incredibly easy to install. The programming was very user friendly and simple to adjust to our customers very specific needs. Fuller Fire and Safety will definitely be ordering more of this product for our future projects!” – Jason Matheric Senior Technician, Fuller Fire & Safety Equipment, Inc.
Further complimenting the system is TagMaster North America’s ACTS Essential standalone software, powered by ArmID, secures the database directly in the reader and triggers the HySecurity barrier arms. The turnkey solution installed for Fort Benning allows medical staff to effectively gain access to their designated parking spots in the most efficient manner possible. “By deploying TagMaster LR series RFID systems in conjunction with ACTS Essential software, parking operations are able to increase security compliance and have better transparency”, noted Ali Khaksar, President of TagMaster North America, Inc. “As security concerns and threats pose issues for access control applications, it becomes more important than ever to choose a proven and reliable solution such as TagMaster”. Our Partner TagMaster North America, Inc., installed in August , 2.45 GHz microwave LR series readers for high rise condominiums with ground floor retail shops looking to streamline their parking process for both their residents and retail visitors. Equity residential developers realized that it would be difficult to provide parking access to both condo owners and retail shoppers in a parking dense and limited space environment. An answer was needed to offer convenient parking for the retail shoppers, while not compromising access to secure and appointed spaces for the residents. Equity residential developers realized that it would be difficult to provide parking access to both condo owners and retail shoppers in a parking dense and limited space environment. An answer was needed to offer convenient parking for the retail shoppers, while not compromising access to secure and appointed spaces for the residents. 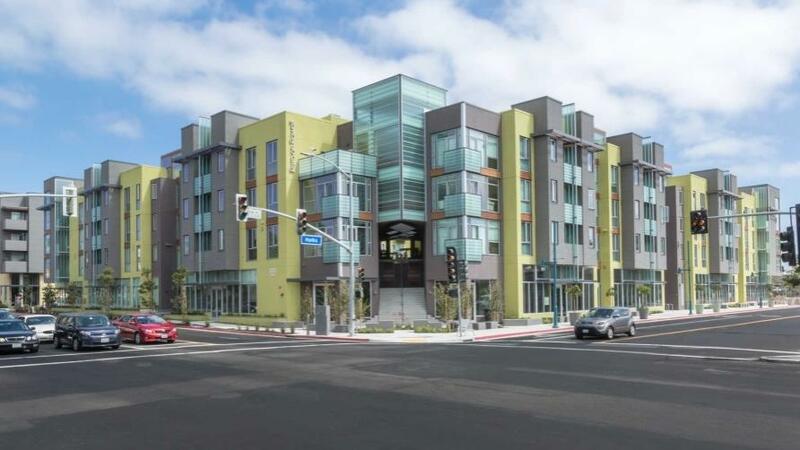 With their combined expertise and experience, TagMaster North America and Watry Design, Inc. teamed up and successfully integrated a hands-free, long range access control solution for the Parc on Powell luxury condominiums. “The solution needed to be efficient enough to cater to residents who were familiar with the technology and put priority on timely entry and exit while also being user friendly to visitors who may have never used the garage before,” said Watry Design Associate Principal Matt Davis. “A system that utilized both RFID and pay stations offered the perfect combination to satisfy each user group.” By implementing TagMaster’s LR 6 readers and MarkTag MeMs, the long range reading allowed residents to open the gate from 20 feet away, while the retail shoppers have to stop and acquire a ticket. The residents are then able to access their secure, designated parking space through a roll down gate that is activated by the same RFID tag. This solution preserves the convenience and security for the residents at Parc on Powell, while still allowing nearby businesses to flourish by providing retail shoppers the ease of parking. Read about how Watry Design, Inc. an integrated architecture, structural engineering and planning firm that specializes in parking, teamed with our Partner TagMaster North America. This week we attend 3 events around Europe. Come and visit ! TagMaster North America, Inc., the leading provider of vehicle identification solutions and SKIDATA MEXICO’s industry leading PARCS (Parking Access Revenue Control Systems) deployed 34x 2.45 GHz microwave LR series readers in conjunction with 34x SKIDATA parking control barriers and 29x Easy Cash stations. Parque Toreo Central, one of the largest private investments in Mexico and one of the most distinguished real estate and architectural developments in Latin America now has the security, convenience and technology that reflect the modern design and forward thinking of this project. 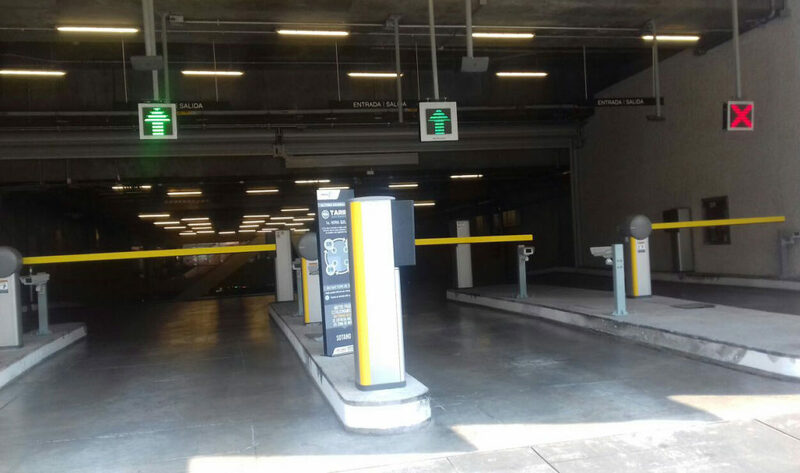 SKIDATA’s parking control and revenue equipment in tandem with TagMaster NA long range RFID systems were deployed for the project and were able to solve the previous issues of misreads for close, reversible and adjacent lanes. The tag read accuracy and viability for armored vehicles as well also greatly added to the value of this application by offering a solution for a wide variety of vehicle types. This scalable and dynamic solution provided by TagMaster NA and SKIDATA Mexico provided the performance standards required for the project to be realized. The 172,947 square foot mixed use development valued TagMaster NA and SKIDATA MX’s quick and efficient installation of the parking access control and revenue control systems. By providing high performance and high accuracy solutions for contract parkers, revenue control is optimized, and vehicle queues and risks of tailgating are eliminated, resulting in high end user satisfaction and increased security and revenue oversight. Integration with SKIDATA is effortless, by utilizing Ethernet (TCP/IP) for configuration and data transmission; TagMaster was able to tailor the installation to Parque Toreo’s specifications. The use of white listing provided the establishment with a dynamic list of authorized credentials, protecting against unapproved access. “TagMaster North America is always looking at the future, and what we can do to provide solutions that reflect the integrity and design of the projects we are a part of; our valued partner SKIDATA ensures success and high performance for every collaborative project”– Ali Khaksar, President of TagMaster North America, Inc.
“We at SKIDATA are very proud of our commitment to deliver superior, reliable, and trend setting solutions. We are also aware that our customers rely on SKIDATA to keep their operation running smoothly every day. Therefore, now that SKIDATA has direct presence in México, we must ensure outstanding quality not only in our products but also in our partners’ solutions. Tag Master was selected as the trustworthy business partner for this important project with Fibra Danhos” – Ryan Roades, General Manager of SKIDATA México. SKIDATA MEXICO is an international leading company for access solutions and management. More than 10,000 SKIDATA installations in ski resorts, shopping centers, major airports, communities, sports stadiums, exhibition centers and amusement parks worldwide ensure safe and reliable access control for people and vehicles. SKIDATA places great value in offering solutions that are intuitive, easy to operate and secure. With their integrated concepts, SKIDATA solutions help clients optimize performance and maximize profits. TagMaster North America is the leading provider of Identification Solutions, offering dual platforms of long-range Radio Frequency Identification (RFID) and Automatic Number Plate Recognition / Automatic License Plate Recognition (ANPR/ALPR) along with stand-alone and customizable software solutions. Collective technologies provide convenient and reliable platforms for Automatic Vehicle Identification (AVI) and Rail-Bound applications throughout the Americas. TagMaster North America’s breadth of Identification Solutions are able to increase security, decrease environmental impact and add value to actualize and simplify vehicle access control for a wide array of projects. TagMaster AB (publ) har framgångsrikt avslutat den nyemission med företrädesrätt för befintliga aktieägare (”Företrädesemissionen”) som godkändes av årsstämman den 27 april 2017. Företrädesemissionen tecknades till cirka 199 procent. I Företrädesemissionen, vars teckningsperiod avslutades den 24 maj 2017, tecknades 33 097 396 aktier med stöd av företrädesrätt, motsvarande 98,6 procent av Företrädesemissionen. Vidare tecknades 33 579 298 aktier utan stöd av företrädesrätt. Företrädesemissionen är således fulltecknad. De som har tecknat aktier utan företrädesrätt kommer att tilldelas aktier i enlighet med de principer som anges i det prospekt som offentliggjordes den 8 maj 2017. Avräkningsnotor till de personer som tecknat aktier utan företrädesrätt beräknas utfärdas omkring den 30 maj 2017. Något meddelande lämnas ej till den som inte erhållit tilldelning. Företrädesemissionen tillför TagMaster cirka 37 MSEK före emissionskostnader. Genom Företrädesemissionen ökar antalet aktier av serie B i TagMaster med 33 564 878 aktier. Efter Företrädesemissionen uppgår aktiekapitalet till 10 069 463,45 SEK fördelat på 201 389 269 aktier av serie B.
Så snart aktiekapitalökningen har registrerats av Bolagsverket, vilket beräknas ske omkring den 12 juni 2017, omvandlas BTA till aktier utan särskild avisering från Euroclear Sweden AB. I samband med nyemissionen agerar Remium Nordic AB finansiell rådgivare. Advokatfirman Lindahl KB agerar legal rådgivare. Denna information är sådan information som TagMaster AB är skyldigt att offentliggöra enligt EU:s marknadsmissbruksförordning. Informationen lämnades, genom ovanstående kontaktpersons försorg, för offentliggörande den 30 maj 2017 kl. 08.30 CET. Offentliggörande eller distribution av detta pressmeddelande kan i vissa jurisdiktioner vara föremål för restriktioner enligt lag och personer i de jurisdiktioner där detta pressmeddelande har offentliggjorts eller distribuerats bör informera sig om och följa sådana legala restriktioner. Detta pressmeddelande innehåller inte och utgör inte en inbjudan eller ett erbjudande att förvärva, teckna eller på annat sätt handla med aktier eller andra värdepapper i TagMaster. Detta pressmeddelande får inte offentliggöras, publiceras eller distribueras, vare sig direkt eller indirekt, i eller till USA, Kanada, Japan, Hongkong, Nya Zeeland, Sydafrika, Australien eller annat land där sådan åtgärd helt eller delvis är föremål för legala restriktioner. Informationen i detta pressmeddelande får inte heller vidarebefordras, reproduceras eller uppvisas på sätt som står i strid med sådana restriktioner. Underlåtenhet att efterkomma denna anvisning kan innebära brott mot United States Securities Act från 1933 (“Securities Act”) eller tillämpliga lagar i andra jurisdiktioner. Detta pressmeddelande innehåller vissa framåtriktade uttalanden som återspeglar Bolagets aktuella syn och förväntningar på framtida händelser samt finansiell och operativ utveckling, inklusive uttalanden avseende den riktade nyemissionen samt uttalanden rörande vägledning, planering, framtidsutsikter och strategier. Ord som “avses”, “bedöms”, “förväntas”, “planeras”, “uppskattas”, “kan”, och andra uttryck som innebär indikationer eller förutsägelser avseende framtida utveckling eller trender och som inte är grundade på historiska fakta, utgör framåtriktad information. Även om Bolaget anser att dessa uttalanden är baserade på rimliga antaganden och förväntningar kan Bolaget inte garantera att sådana framåtriktade uttalanden kommer att förverkligas. Då dessa framåtriktade uttalanden inbegriper såväl kända som okända risker och osäkerhetsfaktorer, kan verkligt utfall väsentligen skilja sig från vad som uttalas i framåtriktad information. Framåtriktade uttalanden i pressmeddelandet gäller endast vid tidpunkten för pressmeddelandet och kan komma att ändras utan tillkännagivande. Bolaget gör inga utfästelser om att offentliggöra uppdateringar eller revideringar av framåtriktade uttalanden till följd av ny information, framtida händelser eller dylikt utöver vad som krävs enligt tillämpliga lagar eller aktiemarknadsrättslig reglering. 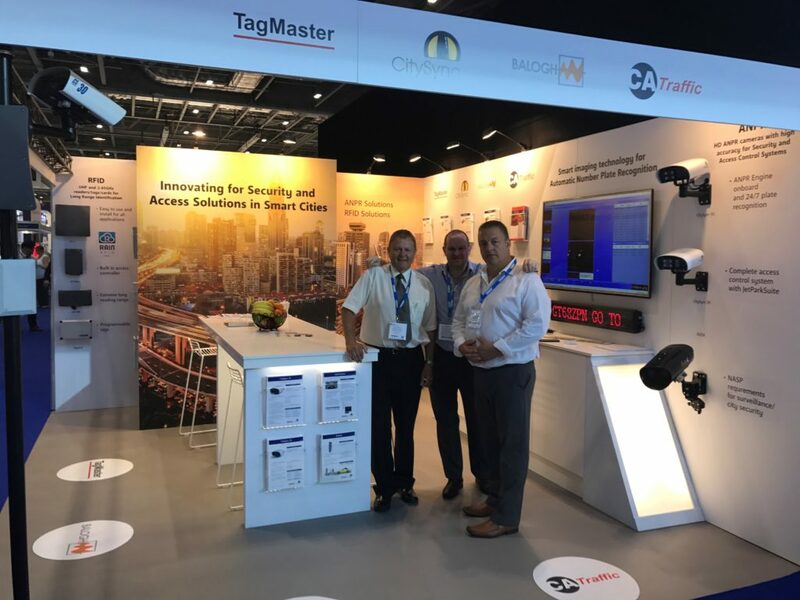 TagMaster, the leading supplier of advanced RFID products and ANPR cameras for vehicle identification and Rail solutions has, through its subsidiary Balogh SA, received orders from China & France for tramway project in China and for commuter line project in France . Balogh is one of the real pioneers in the RFID technology and was founded in 1958. Balogh today has offices for development and production in Paris, in Toulouse and in Normandie and works within the three RFID segments Rail, Access/Security (Traffic) and Industrial automation. The order comprises products used for ATP (Automatic Train Protection), i. e. equipment used to avoid collision caused by excessive speed or missed signal information and for train positioning. These products are part of the Balogh standard assortment but as often are adapted (NRE) for different projects and different customers and the order shows that Balogh has a strong product family among a number of rail applications. ”TagMaster has earlier expressed its enthusiasm for the Balogh acquisition and this order verify that our ambition, that together with Balogh become a stronger supplier within Rail solutions, is justified. We together get a wider product offering and we could together become one of the leading actors in train signaling and we will be able to take on bigger and more projects” says Jonas Svensson, CEO, TagMaster. 900 000 nya aktier i bolagets pågående företrädesemission. Genom sitt tidigare innehav är han även berättigad att teckna 400 000 nya aktier. Säljare är företagets två största ägare Gert Sviberg och Tomas Brunberg (genom CTM Invest AB). 2 000 000 optioner i TagMaster. “Jonas har önskat ett ökat ägande i bolaget och vi ser det som ett privilegium att ge honom den möjligheten eftersom det till stor del är hans förtjänst att TagMaster idag är ett betydligt större och mer framgångsrikt företag än då han tillträdde” säger säljarna i en gemensam kommentar till affären. För ytterligare information om företrädesemissionen, se första sidan. Detta pressmeddelande får inte offentliggöras, publiceras eller distribueras, vare sig direkt eller indirekt, i eller till USA, Kanada, Japan, Hongkong, Nya Zeeland, Sydafrika, Australien eller annat land där sådan åtgärd helt eller delvis är föremål för legala restriktioner. Informationen i detta pressmeddelande får inte heller vidarebefordras, reproduceras eller uppvisas på sätt som står i strid med sådana restriktioner. Underlåtenhet att efterkomma denna anvisning kan innebära brott mot United States Securities Act från 1933 eller tillämpliga lagar i andra jurisdiktioner. Styrelsen i TagMaster AB (publ) (”TagMaster” eller ”Bolaget”) har upprättat ett prospekt avseende nyemission av aktier i samband med Bolagets företrädesemission (”Erbjudandet”). Prospektet har idag godkänts av och registrerats hos Finansinspektionen. I prospektet finns en proformaredovisning för att beskriva en hypotetisk situation till syfte att informera och belysa fakta med anledning av Erbjudandet och förvärvet av CA Traffic Ltd. Proformaresultaträkningen har upprättats som om förvärvet av CA Traffic Ltd, finansieringen av förvärvet och Erbjudandet genomfördes den 1 januari 2016, medan proformabalansräkningen har upprättats som om förvärvet av CA Traffic Ltd, finansieringen av förvärvet och Erbjudandet genomfördes den 31 december 2016. Koncernens nettoomsättning för helåret 2016 hade uppgått till 159 198 TSEK om förvärvet, finansieringen av förvärvet och Erbjudandet genomförts den 1 januari 2016. Koncernens resultat för helåret 2016 hade uppgått till 861 TSEK om förvärvet, finansieringen av förvärvet och Erbjudandet genomförts den 1 januari 2016. Koncernens eget kapital och skulder hade uppgått till 154 154 TSEK den 31 december 2016 om förvärvet, finansieringen av förvärvet och Erbjudandet genomförts den 31 december 2016. Prospektet och anmälningssedel finns under anmälningsperioden att ladda ner från Bolagets hemsida www.tagmaster.com och på Aktieinvest FK ABs hemsida, www.aktieinvest.se. De som på avstämningsdagen den 8 maj 2017 är aktieägare i TagMaster äger företrädesrätt att för fem (5) aktier av serie B teckna en (1) ny aktie av serie B i TagMaster. Teckningskurs: 1,10 SEK per nyemitterad aktie. Courtage utgår ej. Bolaget tillförs genom Erbjudandet högst cirka 36,9 MSEK före emissionskostnader. Bolaget har erhållit skriftliga teckningsförbindelser och garantiåtaganden upp till sammanlagt cirka 74 % av det totala emissionsbeloppet. Detta pressmeddelande utgör inte ett erbjudande om, eller inbjudan att, förvärva aktier i TagMaster. Prospektet avseende Erbjudandet har godkänts och registrerats av Finansinspektionen och hålls tillgängligt bland annat på TagMasters hemsida. Varken Teckningsrätter eller aktier i TagMaster har registrerats eller kommer att registrerats enligt United States Securities Act från 1933 enligt dess senaste lydelse och inte heller enligt någon motsvarande lag i någon delstat i USA. Erbjudandet omfattar inte personer med hemvist i USA, Australien, Japan, Nya Zeeland, Sydafrika, Hongkong eller Kanada eller i något annat land där Erbjudandet eller distribution av Prospektet strider mot tillämpliga lagar eller regler eller förutsätter ytterligare prospekt, registreringar eller andra åtgärder än de krav som följer av svensk rätt. Prospektet får följaktligen inte distribueras i eller till sådan jurisdiktion. Anmälan om teckning av aktier i strid med ovanstående kan komma att anses vara ogiltig. Följaktligen får Teckningsrätter inte direkt eller indirekt, utbjudas, säljas vidare eller levereras i eller till länder där åtgärd enligt ovan krävs eller till aktieägare med hemvist enligt ovan. Denna information är sådan information som TagMaster AB är skyldigt att offentliggöra enligt EU:s marknadsmissbruksförordning samt lagen (1991:980) om handel med finansiella instrument. Informationen lämnades, genom ovanstående kontaktpersons försorg, för offentliggörande den 8 maj 2017 kl. 17:45 CET.